This is the twenty seventh part of our series on the 99 Names of Allah (s) for children. 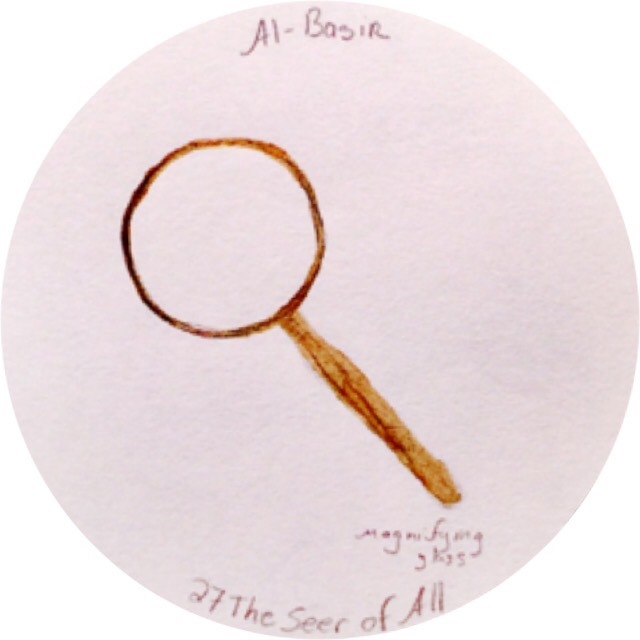 The name Basir means the seer of all and the detail of the whole. Basir can also mean the eye of the heart seeing from the inside and the outside. For this medallion we have chosen a magnifying glass to suggest a seer who knows the details but can also see the whole or see from both sides of the glass. Can we really see something if we only see the parts? Can we really see something if we only see the whole? What things do we look at with a magnifying glass?